When reading the Bible, we need to consider the original, historical context. People didn't act like we do, think like we do, understand like we do, write like we do, and so on. If we try pinning our ways and thoughts onto the Bible, we will have misinterpretations. An easy example of this is slavery. Today, we see slavery as a horrible act of abuse and breaking of the law. In the Bible, however, slavery was common and a part of the law and culture. Without a proper understanding of all that entails, we may say Paul did not value human life for his statements about slaves obeying their masters. But Paul saw this as an opportunity for the gospel—rather than calling Christians to upheave society, Paul explained how to obey these laws and still be an example of Christ (see Colossians 3:22 and Ephesians 6:5-9). You can twist any text to mean something absurd when it is taken out of context. You could take a single sentence from this article and claim I am teaching heresy. For that reason, the literary context in which a passage was written is essential to its interpretation. Surrounding Texts: Beginning with the surrounding sentences, to paragraphs, to chapters, to the entire book, and eventually to the whole biblical narrative, you need to look at how your focus passage fits in with what is surrounding it. Word Meanings: The English language on its own has changed a lot within only a few years, and so much more changes between different languages in different time periods. Therefore, it is helpful to study key words (words that are repeated, difficult, crucial, figures of speech, etc) used in the Bible and see what they meant in their original language within the context of the text. Purpose: Why the text was written and its intended message. Within literary context, we must remember that the entire Bible is one continual story of redemption with Christ at the center. The entire works of Scripture are meant to point back to Christ—both the Old and New Testament. It is a story of an unchanging God’s covenant with man and promise of a Saviour, and the outworking of that covenant. Every text we read should be read within this lens. Finally, application. Scripture is meant to change us and conform us to the image of Christ. Although the Bible was written hundreds of years ago, it still applies to us. How? Because the Word of God—unlike any other text—is alive and active. What commands are present to obey? What sins should be put off? What promises are made for us to cling to? What has this taught us about ourselves? What has this taught us about God? Where is the grace of the gospel proclaimed? Remember our passage from James—as teachers of the Word we are also students; we, too, should be changed by the text we are teaching. Application as teachers begins in our own hearts before we speak it to others. I commend you, friend, for desiring to teach good doctrine to those God has place in your life and to use the gifts he has given you. 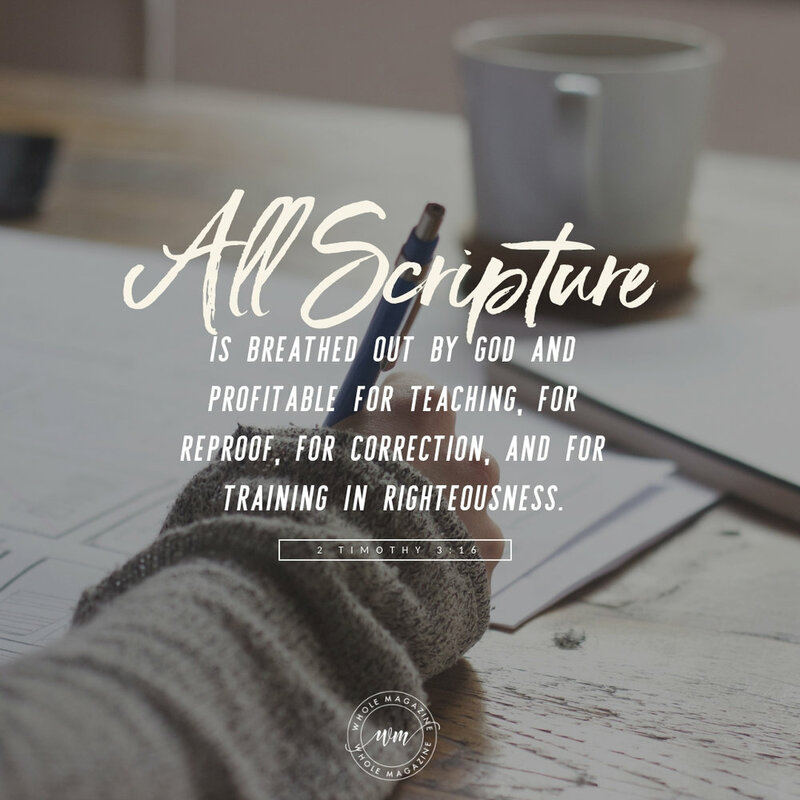 But don’t let this spark in your heart to teach become an untamed wildfire—seek the Holy Spirit and use the mind God has given you to rightly divide the Word, all to the glory of God.